Through state-backed Catholicism, monolingualism, militarism, and dictatorship, Spain’s fascists earned their reputation for intolerance. It may therefore come as a surprise that 80,000 Moroccans fought at General Franco’s side in the 1930s. What brought these strange bedfellows together, Eric Calderwood argues, was a highly effective propaganda weapon: the legacy of medieval Muslim Iberia, known as al-Andalus. This legacy served to justify Spain’s colonization of Morocco and also to define the Moroccan national culture that supplanted colonial rule. Writers of many political stripes have celebrated convivencia, the fabled “coexistence” of Christians, Muslims, and Jews in medieval Iberia. According to this widely-held view, modern Spain and Morocco are joined through their shared Andalusi past. 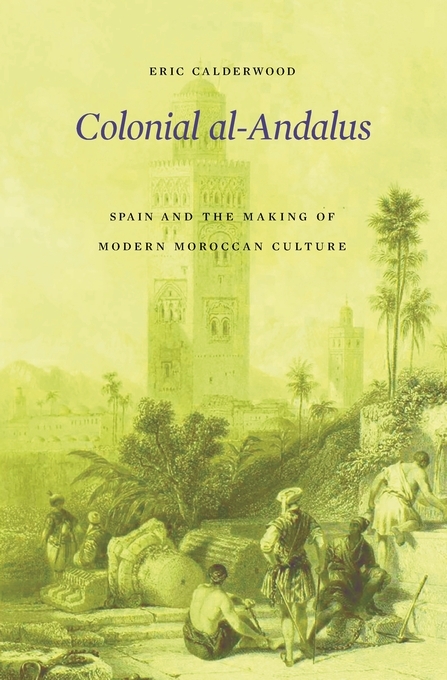 Colonial al-Andalus traces this supposedly timeless narrative to the mid-1800s, when Spanish politicians and intellectuals first used it to press for Morocco’s colonization. Franco later harnessed convivencia to the benefit of Spain’s colonial program in Morocco. This shift precipitated an eloquent historical irony. As Moroccans embraced the Spanish insistence on Morocco’s Andalusi heritage, a Spanish idea about Morocco gradually became a Moroccan idea about Morocco. Drawing on a rich archive of Spanish, Arabic, French, and Catalan sources—including literature, historiography, journalism, political speeches, schoolbooks, tourist brochures, and visual arts—Calderwood reconstructs the varied political career of convivencia and al-Andalus, showing how shared pasts become raw material for divergent contemporary ideologies, including Spanish fascism and Moroccan nationalism. Colonial al-Andalus exposes the limits of simplistic oppositions between European and Arab, Christian and Muslim, that shape current debates about European colonialism.